Welcome to Day 9 of our series on building your Home Management Binder. This week we are working on building the “Contact List” section of our binders. Feel free to download this printable, but please respect my copyright. This printable is © Copyright 2012 Organizing Homelife and is intended for personal use only. Please do not distribute this file for free or for profit without written consent. Thank you! You must have a PDF reader installed in order to view these printables. If you haven’t already, please visit adobe.com and download their latest version of acrobat reader. It’s totally free. Printables are viewed the best in Google Chrome, Safari, or Firefox internet browsers. Internet Explorer seems to have trouble with printables. Feel free to click through to all of the 31 Days below, or you can purchase the entire set in one downloadable file here. The is a very helpful series! Thanks so much for sharing! You’re welcome, Mary. I’m glad you’re enjoying it! I love your planner pages. They are attractive without being cute. Business-like without being stale or boring. Really just very appealing and usable. Thank you very much. This is helping me tremendously. You are so kind to share this information and your free printables with us! I really appreciate all your hard work, and I’m looking forward to completing my binder! Thanks so much! I love that you can type in the info as well! I want to thank you so much for this series! We have moved 500 miles away from our family last year, and are trying to get a book together that will enable our family to know *at a glance* our affairs should something happen to us. These printables will be so helpful in achieving our goal! Love your blog, and I am now following you 🙂 God bless! 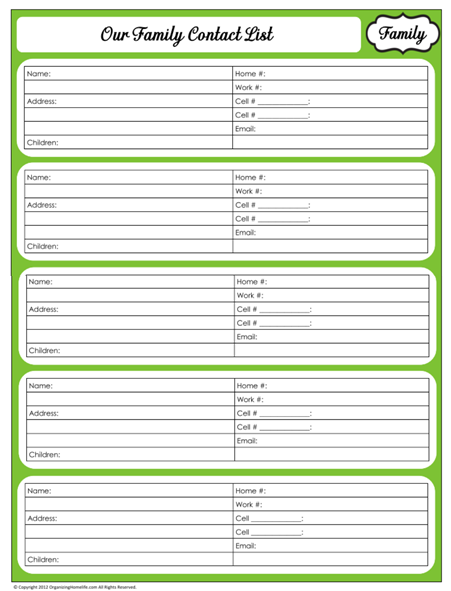 Im a sucker for beautiful free organizational printables. Thank you.